When it comes to saving money, sometimes it makes sense to buy food in bulk. The biggest savings are on items found on a good Staples List. These are the items that every well stocked pantry should have that make getting a meal on the table easy. There are two ways to bulk buy. The first is to shop the bulk bins. The second is to shop the big warehouse stores. 1. Buy as little or as much as you need – Buying from the bulk bins allows you to save as little or as much as you’d like. 2. Get cheaper prices because they isn’t any packaging – All the boxes and bags that you just end up throwing out anyway? They add to the price of your final product. Bulk bin prices can be lower because they skip the fancy packaging. 3. 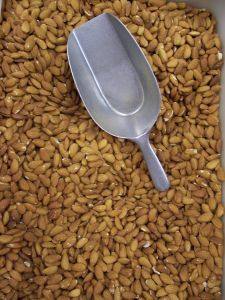 Get a fresher product – The bulk bins are replenished frequently, so the products in them are fresher than the products that have been sitting on the shelf. 4. Less Waste – If you are interested in going green like I am, the bulk bins allow you to shop using your own containers, so there is nothing to throw out. 1. You take advantage of free ways to shop the warehouse stores – For example, Sam’s Club has one weekend every quarter that they allow anyone to shop there without paying the membership fee or a surcharge. Right now, BJ’s has a free trial membership. Plan out your purchases ahead of time, shop only once a quarter, and you can realize big savings. 2. Keep a price list. I’ve learned health and beauty items such as toothpaste can be purchased for very little money combining a coupon and a sale. Therefore, I know that buying those items in bulk quantities at a warehouse store does not save me money. However, by keeping a price list, I know that items such as nuts, olive oil, and organic almond butter are sold for the lowest price in town at my Costco. Only by keeping a price list can you really realize the savings. 3. You have room to store it. Many things like grains and flours can be purchased for rock bottom prices at the warehouse store. BUT, these things need to be store properly to avoid spoilage – or worse – bugs! Since the warehouse stores offer deep discounts because you are buying such a large quantitiy, make sure you have enough freezer space to store these items until you can use them. To see what kind of prices you pay by buying food in bulk, I’ve made price lists. Check out my Whole Foods Bulk Bin Price List and my Costco Price List to see where you can save. The items I’ve tracked pricing on are from my staples list. Andrea Green started The Greenbacks Gal to teach others how to save on organic and natural groceries. She also offers articles and tips on going green, features meatless monday meals, and showcases DIY upcycling projects. Thanks for the post. Buying buik food definitely has saved me money in the past. But you are right, unless you can get past paying those memberships, it’s hard to actually save when you shop in those stores like Costco unless you buy a lot and have tons of freezer space. I love my Costco membership and I save a lot more than the membership cost, but I do recheck every six months or so to make sure that is still the case! Next post: Get the Sunday Coupon Preview!